How soot scatters in the backward direction has implications for improving climate models for global climate change, as well as possible applications in probing the structure of particulate systems. 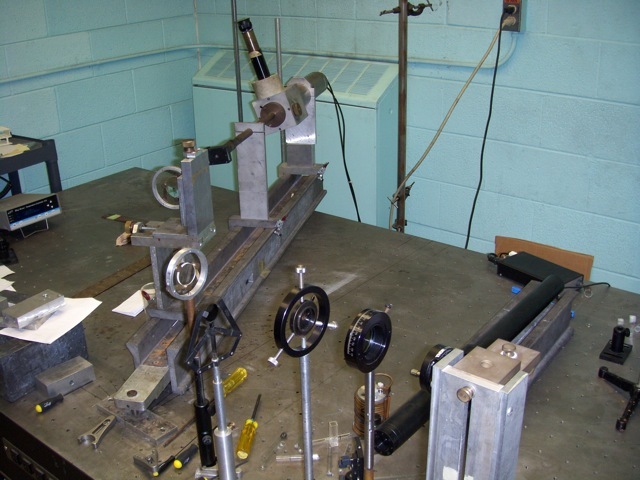 The purpose of this website is to describe my REU research experience designing and calibrating an apparatus to do so. In my ten weeks, I was able to accomplish some preliminary calibrations that suggest that it is working as well as finding important phenomenon in the backscatter literature that will be important to understand going forward. 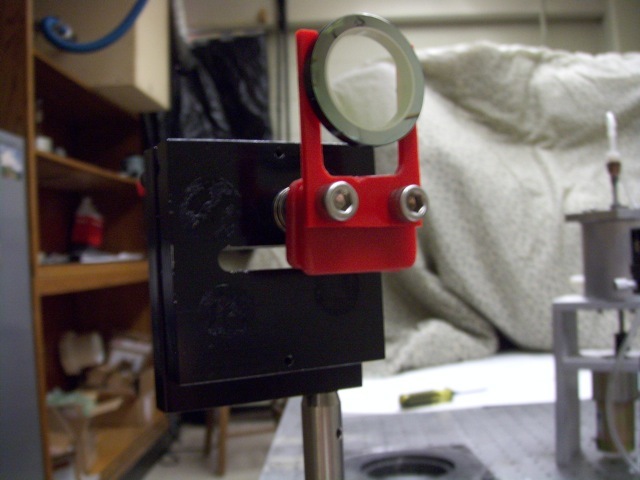 This is a Thor pellicle beam splitter on a homemade mount I designed and machined. 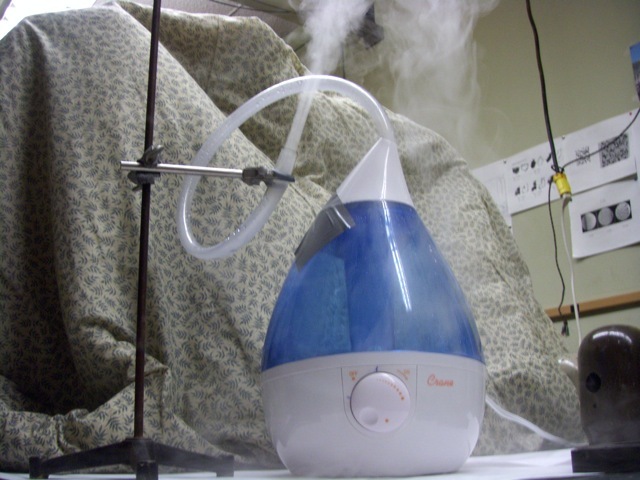 This store-bought humidifier was my source of spherical aerosol droplets and was used for the data presented on this site. This is an example of a forward scattering setup. From about the bottom left going to the up and right we have: HeNe laser, polarizer, polarizer, lens, iris, small iris, CCD detector, a different aerosol source, and a mirror. 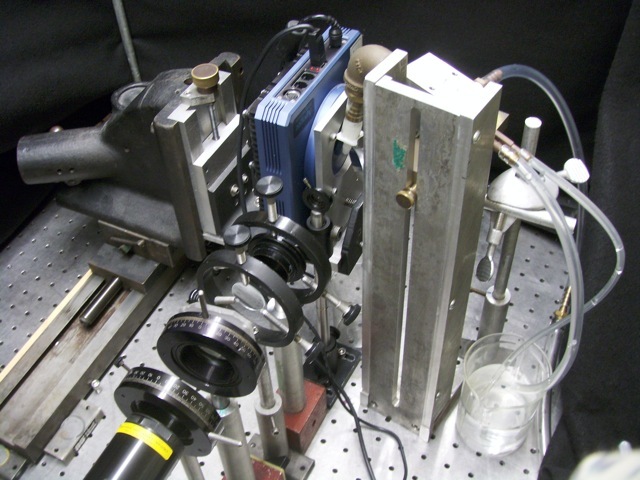 This is the dynamic light scatter setup used to collect data presented on the Research Project page.